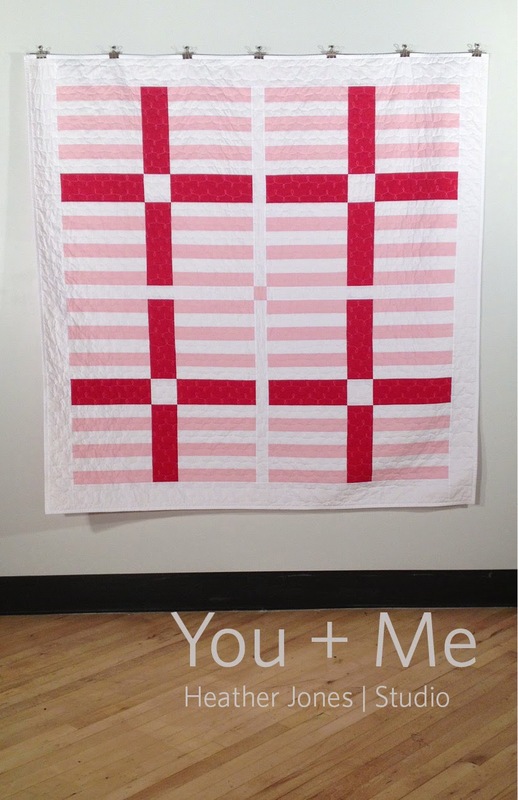 On Monday, I'm teaching my You + Me quilt, my pattern that was inspired by a vintage quilt. 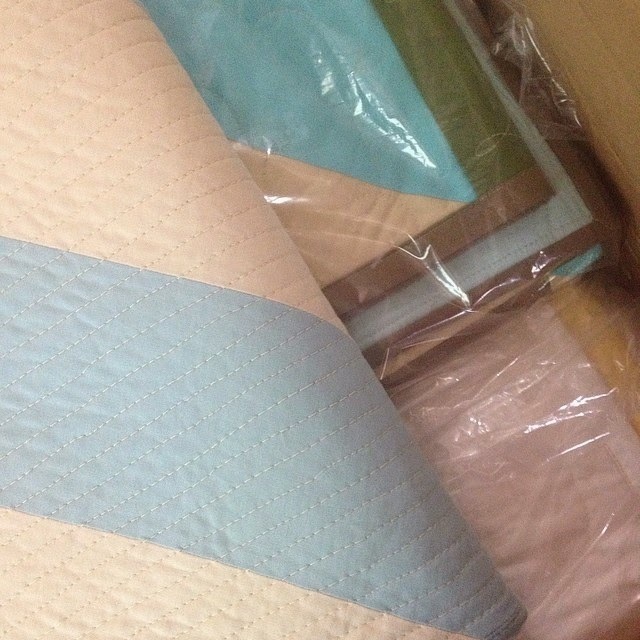 It is made of four large quilt blocks that are constructed through piecing strips of fabric together, so we'll learn the techniques of strip piecing and working in large scale. Using three solid colored cottons and simple construction, You + Me creates a strong graphic design that is at once both modern and timeless. The quilt is really easy to construct and comes together quickly, and the class is suitable for both beginner and advanced quilters alike. 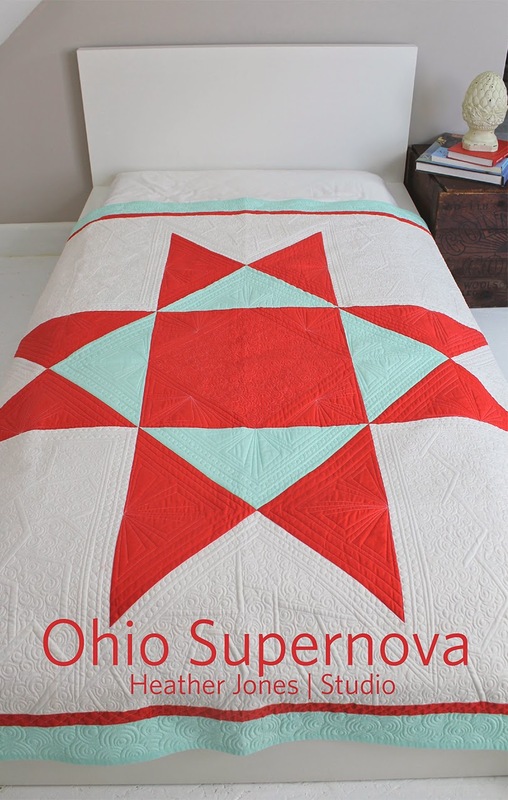 On Tuesday, I'm teaching my Ohio Supernova, my modern spin on the traditional Ohio Star pattern. In this version, the scale of the block has been dramatically increased so that it makes up the vast majority of the finished work. Using solid colored cottons and simple construction, the Ohio Supernova packs quite a visual punch, and is suitable for both beginner and advanced quilters alike. On Wednesday, I'm teaching my Basic Improvisational Quilting class. 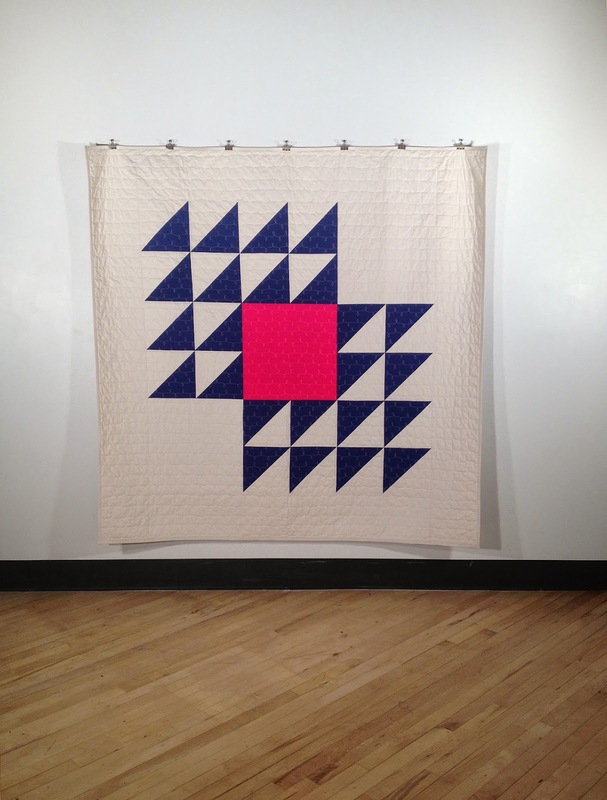 Improvisational quilting is a fundamental component of modern quilting. In this hands-on workshop, learn how to let go and begin to design intuitively, to create completely unique and one-of-a-kind quilt blocks through a variety of improvisational techniques. From completely random piecing, to improvised blocks with a bit more structure, this workshop will challenge you to think about quilting in a whole new light. Students will be asked to bring a bag of scrap fabric in various sizes as a starting point for their improvisational work. On Thursday, I'm giving two lectures. 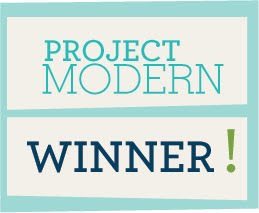 The first is Everyday Inspiration in Modern Quits. 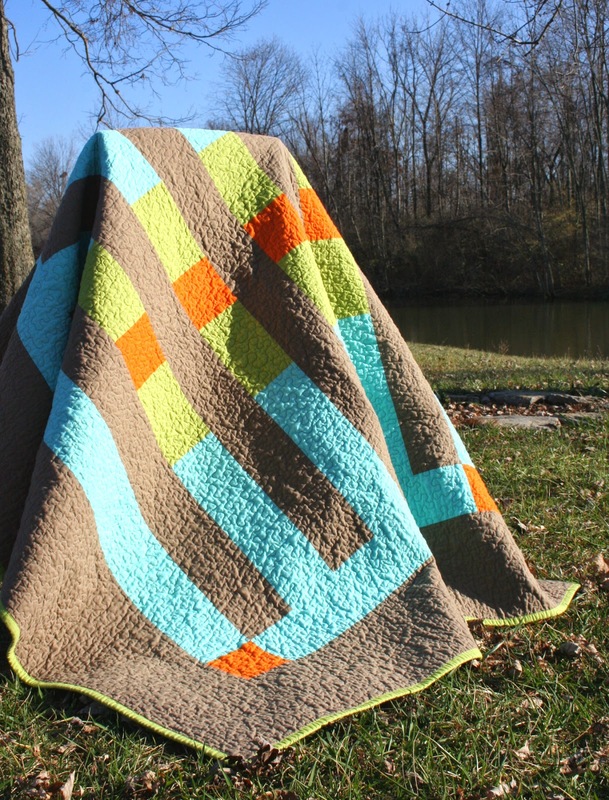 Many quilters today are finding inspiration in a variety of places in their everyday worlds. Join me for an exciting look at how some of today’s quilters find inspiration just about anywhere and everywhere – from a parking lot to a work of fine art, and everything in between. I will also encourage you to do the same, and I will share tips on how you can bring your everyday world into your own designs. The second lecture is on Integrating Tradition in Today's Modern Quilt Designs. Many modern quilters, myself included, integrate traditional components in their quilts; this is often done through the use of traditional patterns, blocks, or techniques. Then, he or she adds their own spin to these traditional components to make them more fresh and modern. 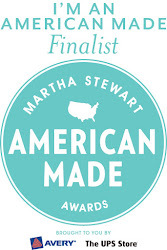 Join me for an in-depth look at my process of merging tradition with modernity in quilting. And finally, on Friday I'm teaching my Blume, otherwise known as Gelassenheit, quilt. 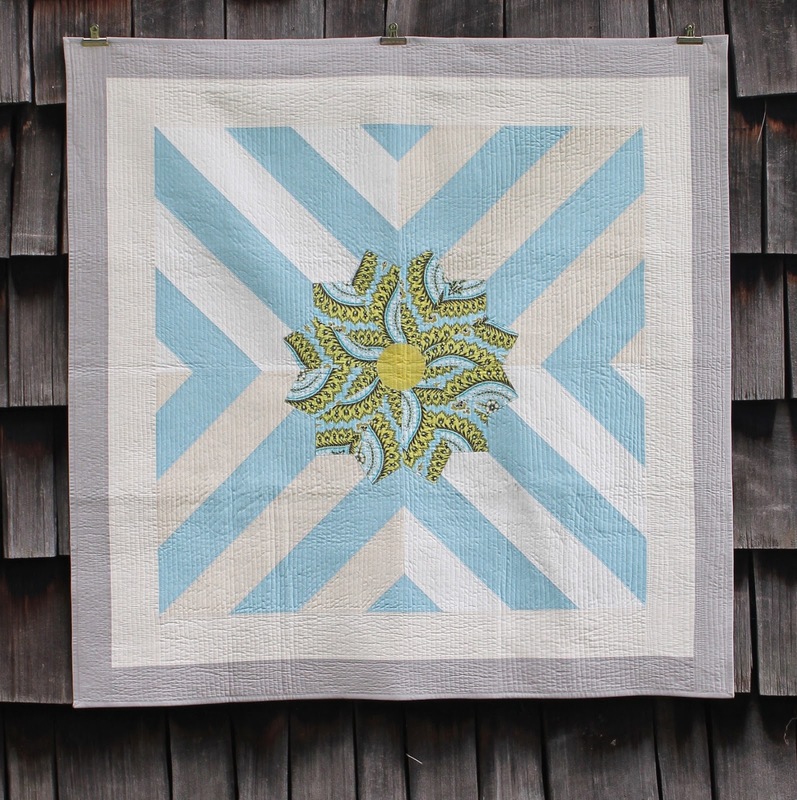 Gelassenheit is my modern take on a traditional Dresden Plate quilt pattern. Only one Dresden Plate block is used in the pattern, but its size is much larger than those found in more traditional versions. The background of this quilt is pieced to create a striped effect, which gives the overall design a lot of movement. This class is best suited for intermediate quilters, although a confident beginner can also complete this pattern.